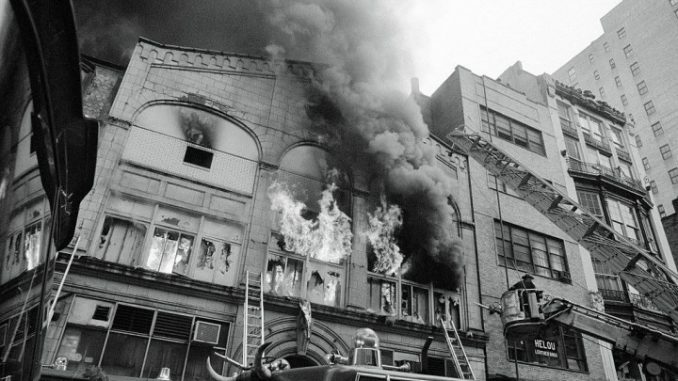 Next year will mark the 40th anniversary of The Gay Bathhouse Fire Of 1977. The bathhouse in question was the Everard Baths where about 80 to 100 men were walking the halls on Wednesday, May 25, 1977. Then a fire broke out on that early morning. When the fire department arrived on scene at about 7 AM, nine men where still trapped inside. Windows were blocked up and there were no fire escapes. These nine men would not make it out alive. In 1977, the fire at the Everard Baths was a reminder that there was no such thing as real safety — which felt all too familiar last weekend. The world has changed a lot since 1977, but the need for truly safe spaces has not yet been eliminated. There is still, and will always be, a need for safe public spaces for queer people. What’s changed, and what hasn’t, in the interim. Especially after Orlando, it is really a fascinating piece on how we think we have come a long way in finding safe spaces for the LGBT community. But after Orlando, it seems we still have some work to do.